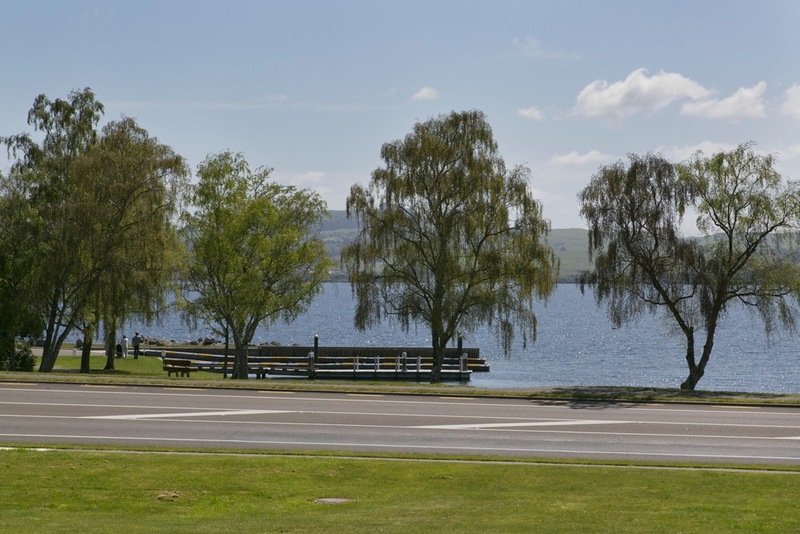 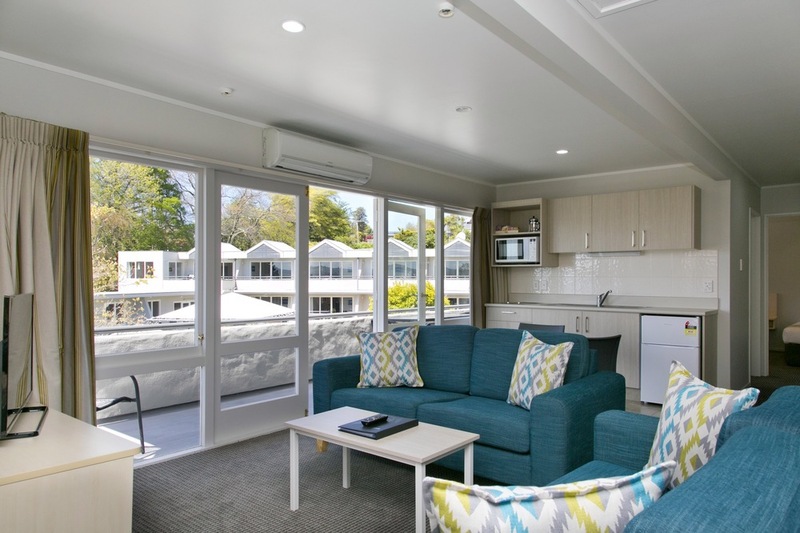 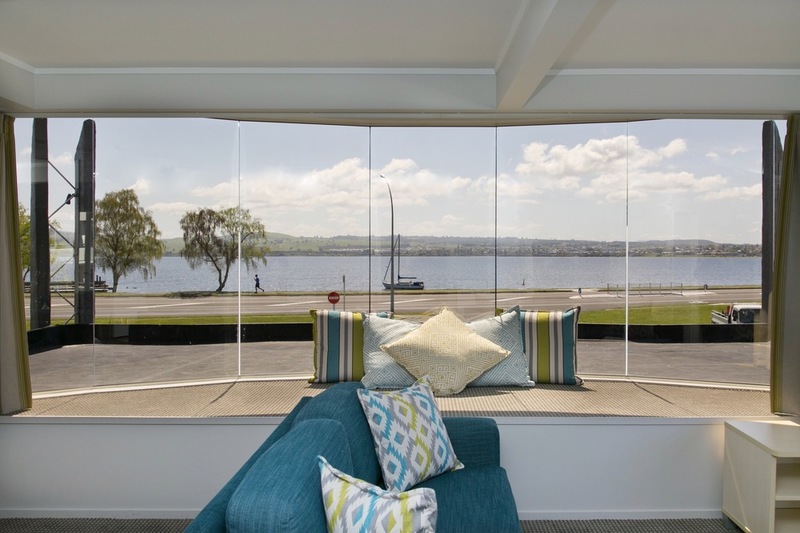 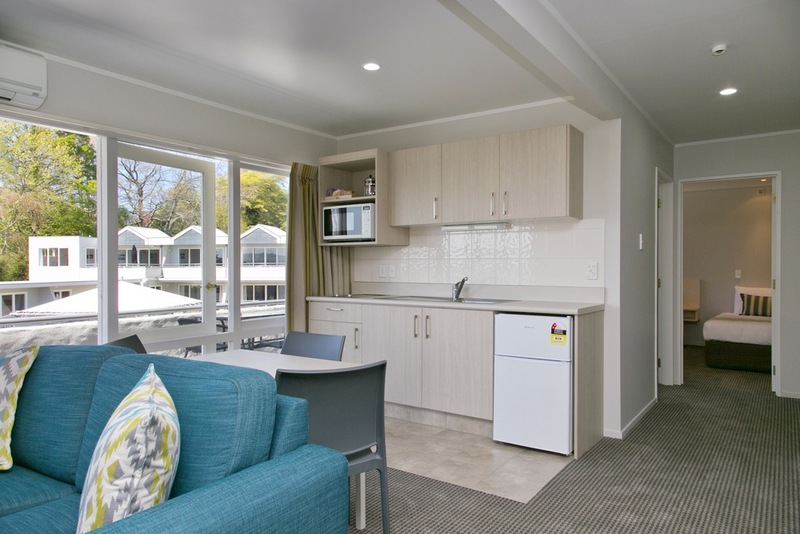 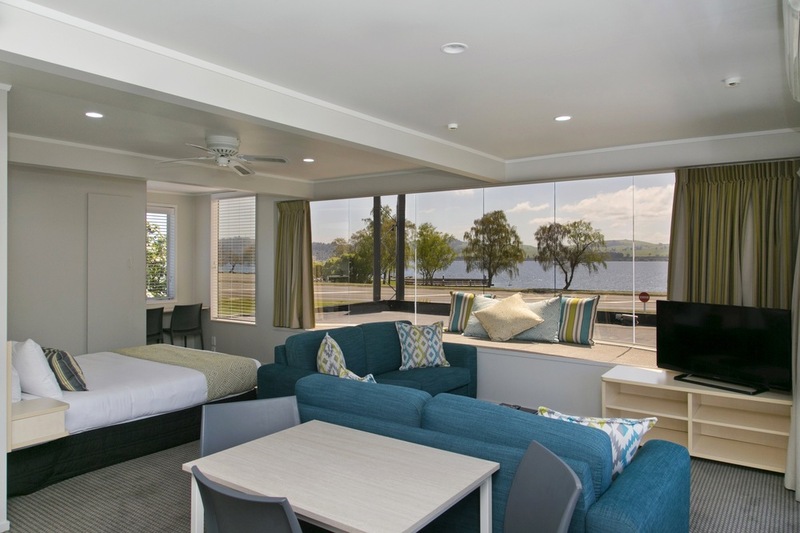 Large, spacious and light one bedroom unit with a massive bay-window that has stunning, panaromic views of Lake Taupo. 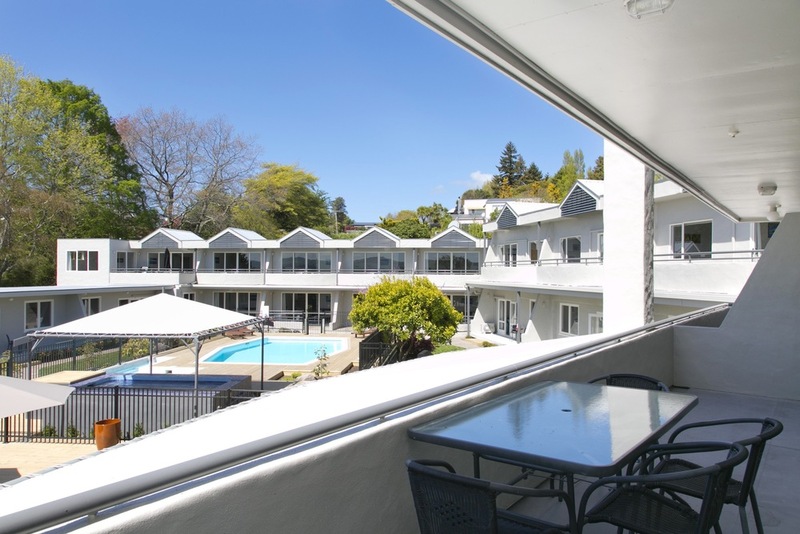 A real favourite with our regular guests! 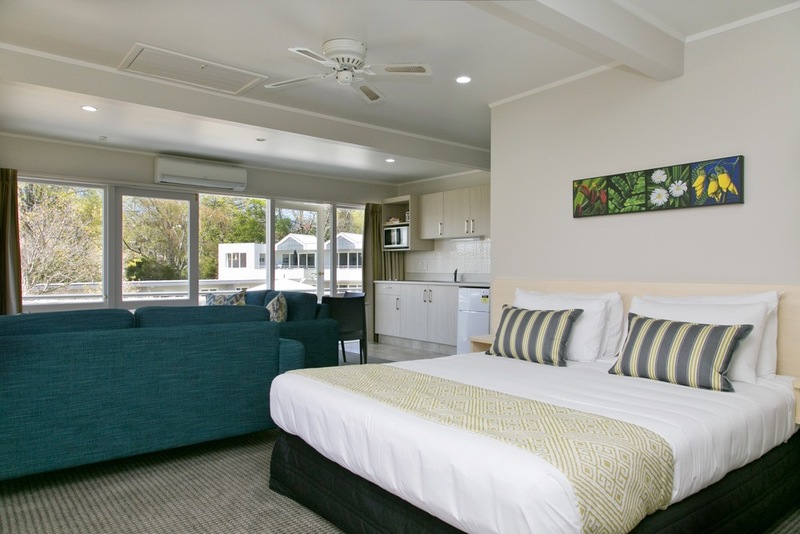 The bedroom has a queen & single bed, and the living area has a king bed, and a well equipped kitchenette with hob, microwave, fridge/freezer, toaster, tea & coffee making facilities, and dining table & chairs. 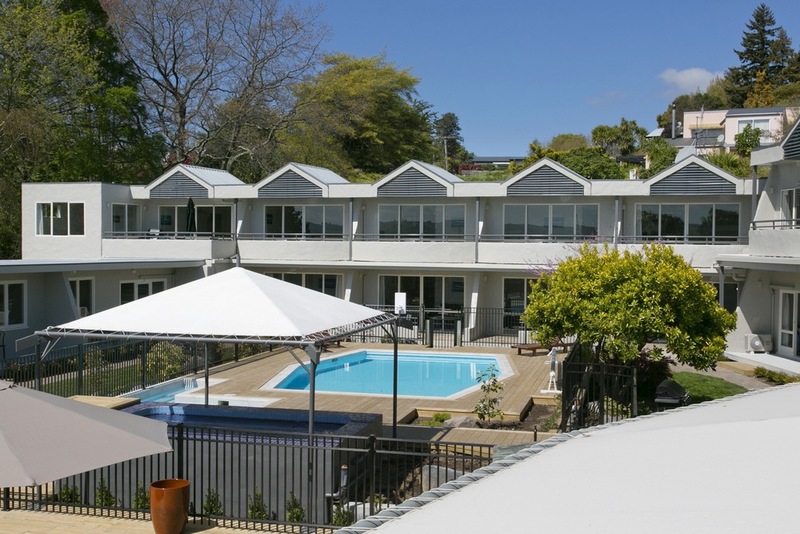 The large private deck with views of the lake and pool area has outdoor furniture. 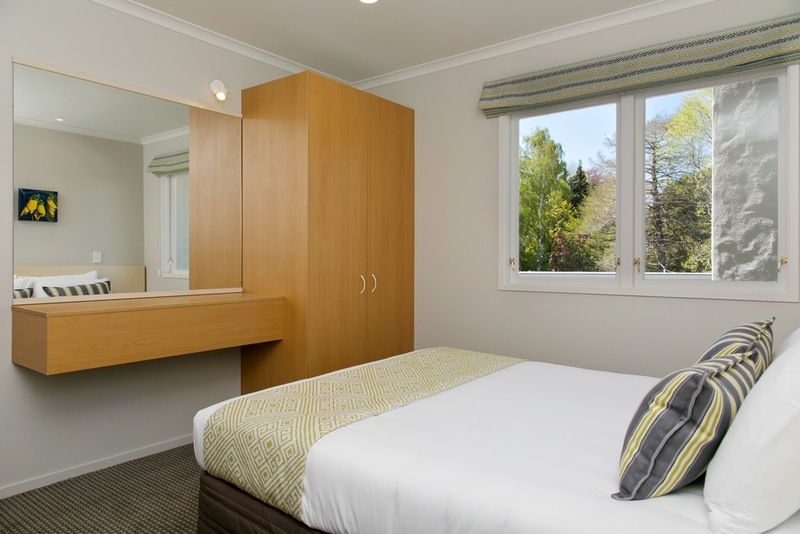 To book or enquire about this room call us on on 0800 991 995 or +64 (7) 378 5542, email info@taupomotel.co.nz, or fill out the contact form, or use the buttons below!